Four years after receiving a life-saving transplant, Remy Marceau was devastated when his body rejected the new kidney. Today he's using humor and hope to buoy his spirits as he waits for another transplant. Remy Marceau of Phoenix never expected to look back with such fondness on the four years after he received a life-saving kidney transplant at age 25. But at age 29, his body abruptly rejected the new kidney, and that's the situation he finds himself in now. As he's once again among the ranks of more than 100,000 people in the U.S. on the transplant list, Remy is enduring another long wait. What keeps him going is the hope of a second transplant and another chance at a better life. "I had the best four years of my life, and it's possible I will get that back again," Remy says. "All this, I hope, is temporary." As early as age 9, Remy experienced fatigue, dehydration and extreme muscle cramping. The diagnosis was a rare kidney disorder called Bartter's syndrome. It causes the body to shed salt and water, requiring frequent infusions to replenish electrolytes and potassium. Remy's disease progressed to a level where both of his kidneys had to be removed because they were no longer healthy enough to preserve his electrolytes and fluid. Still, he soldiered on. By age 25, Remy learned from his physicians at Mayo Clinic's Arizona campus that a kidney transplant would be the best treatment for him, and they were right. "That first kidney transplant gave me my son back," says Remy's mother, Janet, his most loyal advocate. "He again was the Remy we all knew, who is such a gift in our lives." The kidney rejection four years later stunned his family and friends. It also was a blow to Remy's generous living kidney donor, whom he didn't meet until the morning of his transplant surgery in November 2012. 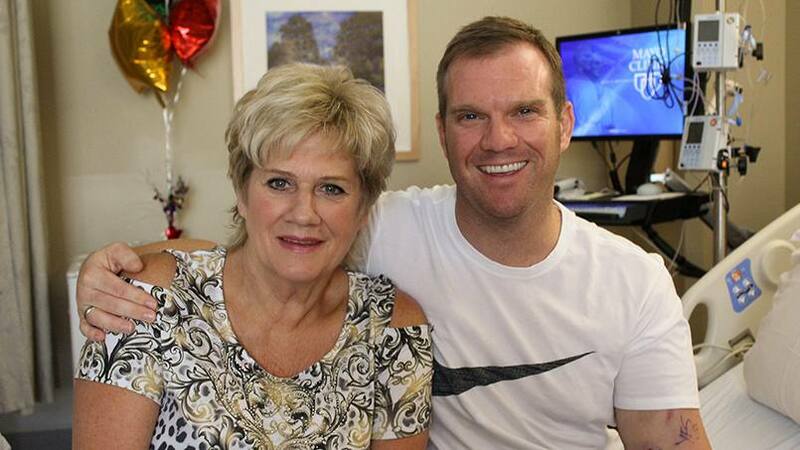 The donor, a Phoenix woman with a giving spirit, had seen a TV segment about Remy and his need for a kidney. Sensing that time was of the essence, she contacted Mayo Clinic and asked to be tested, with the stipulation that her healthy kidney would go to Remy Marceau. She was a match. Soon after the transplant, Remy was alert and giving a thumbs-up, even though it was a complex surgery. The four-year respite Remy cherishes began right after that. He resumed his normal activities, including his job, athletic activities, travel, and time with family and friends. In March 2016, Remy's life changed again as his medical condition declined, and he received the difficult news that his transplanted kidney was failing. His Mayo Clinic physician didn't mince words, telling him, "Your kidney is on its last leg, and it's time to get you listed for another transplant." The message rocked Remy's world. Soon his life was centered on dialysis and plasmapheresis — where plasma is separated from blood to remove antibodies. Remy says he has received 160 bags of new plasma since his kidney began to fail. "Not that I'm counting," he quips. Complicating Remy's life further, and causing additional stress, exhaustion and pain, has been a litany of surgeries he's had to undergo since the rejection of the kidney. When asked how many, Remy jokes, "I can't count that high." He underwent a number of surgeries on his chest to create ports for infusions and more procedures to remove scar tissue, as well as a fat graft to repair depressions in his chest. Because he has small veins, surgery was required to make a fistula for needles used in dialysis. It has also been challenging to bring blood to Remy's hand because of his vein issues, which recently required three vein surgeries over a period of six days. Remy is not a complainer, though, and humor gets him through the tough times. He admits he is weary from the multiple surgeries and undergoing dialysis three times a week, but he is adamant that people not define him by his illness. "I could be negative, but it would be hard on my family — and the Mayo nurses," he says. "To see more attention being brought to the critical need for organ donation, that is what encourages me. For now, I just fight through it." As a friend told Remy, "If attitude equaled health, you would be the healthiest man on earth."